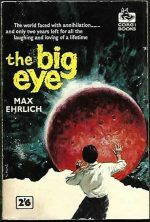 *Science Fiction, Fantasy & Horror: This time we’ve added eight Corgi SF books, all from the 1950s or 1960s. 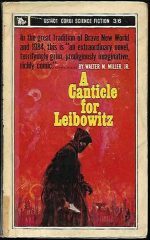 The five earliest editions are all the slightly shorter and squarer Pocket book size, while the later three are the standard (for their time) size. The earlier set consists of The Silver Locusts (Bradbury), Space On My Hands (Brown), The Big Eye (Ehrlich), World Out Of Mind (McIntosh) and Timeliner (Maine). 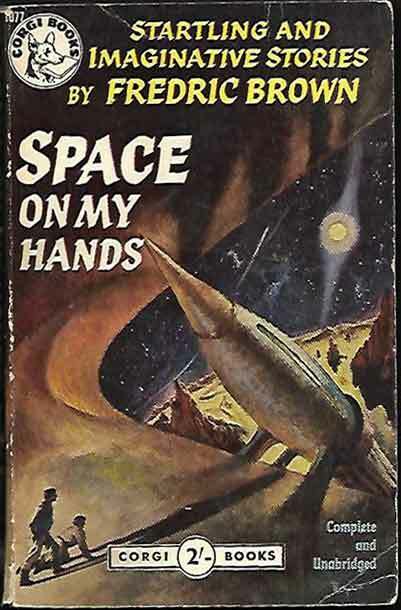 Several of these have cover art by John Richards, although the cover art on Space On My Hands is by Charles Binger. 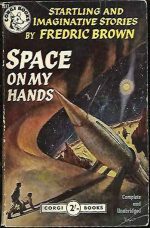 Of the standard size Corgis we have another Bradbury, Something Wicked This Way Comes with a Bruce Pennington cover, New Writings in SF-13 (Carnell ed.) 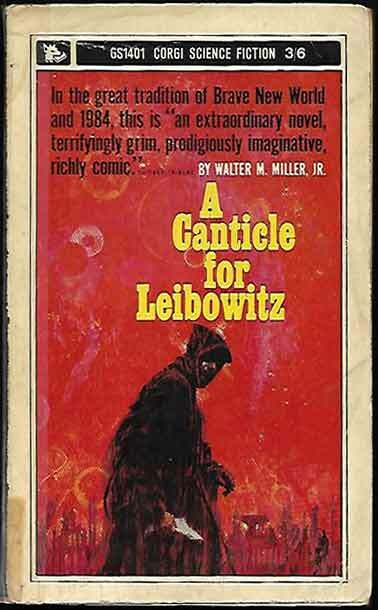 with a Josh Kirby cover and an unusual edition of Miller’s classic A Canticle For Leibowitz.